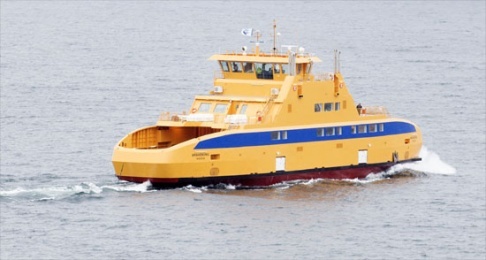 By the end of august the largest road ferry in Sweden was baptized by STA Road Ferries and the name is Saturnus. The day after Saturnus started operation on the Gullmars route. The road ferry is equipped with 4 Volvo Penta engines for propulsion, and all are equipped with emission control systems from STT Emtec AB. – STA Road Ferries are investing in safety and the environment, so the decision to invest in emission control systems on these ferries has been a natural step in our strategy when it comes to new built ferries, says Fredrik Skeppstedt, STA Road Ferries. – We are proud to have been commissioned to deliver emission control systems for these ferries, which makes them the cleanest in operation today, says Glenn Berglund, STT Emtec AB.